PEARL RIVER, Rockland County (WABC) -- Some thieves in Rockland County spent their Christmas Eve looking for unlocked vehicles to target. Three suspects were caught on camera Monday night in the Orangetown hamlet of Pearl River testing out car doors and removing valuables. Police say once they found a car that had its keys left inside, they stole it and fled. 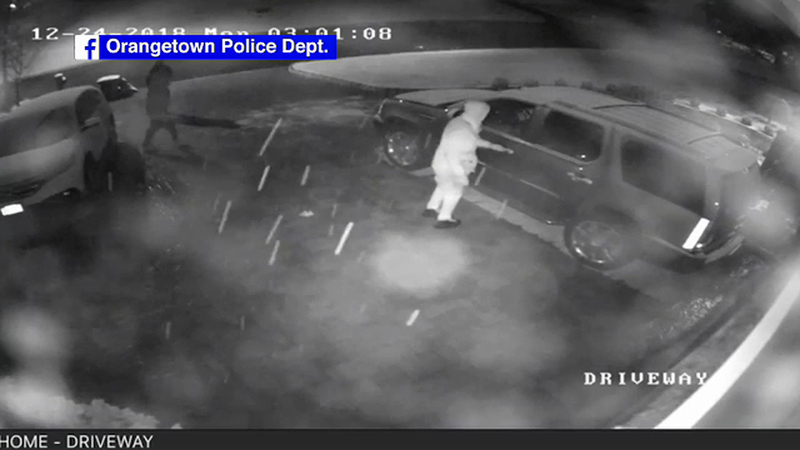 Orangetown police are urging residents to double check that they've locked their car doors as well as the front doors of their homes, to prevent what authorities call a rash of opportunity-based crimes.